All online appointment requests are not confirmed until our office calls you to confirm your booking. We will try to accommodate your preferred date and time of appointment request or find you a suitable alternative date and time if your requested appointment has already been filled by another patient. Thank you for your understanding. From the Ellerslie neighborhood of Edmonton, our dental practice has helped patients develop and maintain beautiful, healthy smiles since 2007. Doctors Ashim Goswami, Sofia Khan, and Dionysios Tzoumas have only one goal at our dental practice: to use their knowledge and experience to give patients the quality dental care they deserve. Ellerslie Dental Studio provides dental services to the Edmonton neighbourhoods of Rutherford, Southbrook, MacEwan, Allard, and the greater Edmonton area. All services are provided by general dentists. Our Edmonton dentists want their patients to have a convenient, positive experience with each visit. As such, Ellerslie Dental Studio offers patients entertainment and comfort options to improve their dental experience. For entertainment, each of our operatories have televisions to watch while work is performed. We also provide our Netflix account, with free Wi-Fi, so that patients can watch various movies while in the dental chair. We even have tablets you can borrow for Netflix or internet surfing. Our Edmonton dental office also plays satellite radio throughout the building, playing relaxing and enjoyable songs for your pleasure. If you would like help feeling more comfortable, but don’t want or need sedation dentistry, we also provide blankets and pillows while you are in the dental chair. The simple warmth of a blanket and comfort of a pillow can help patients become much more relaxed during their visit. 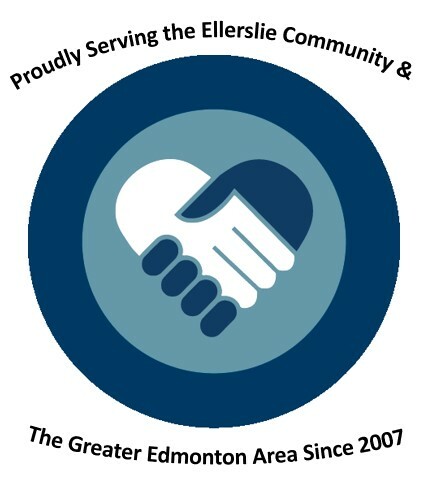 Ellerslie Dental Studio serves the oral health needs of the greater Edmonton area, particularly the neighborhoods surrounding Ellerslie: Rutherford, Southbrook, MacEwan, and Allard. To learn more about our practice, call our office today! All services are provided by general dentists.